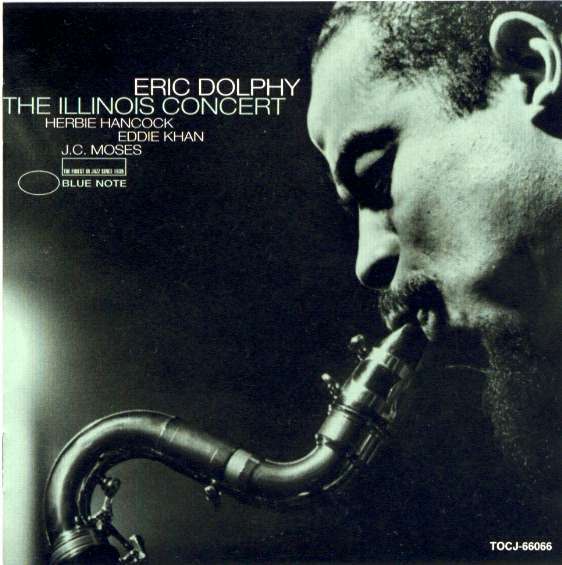 Good Bless the Child (originally written by Billie Holiday and Arthur Herzog), is from the album The Illinois Concert, a live jazz recording of a 1963 concert by Eric Dolphy, released first in 1999 by Blue Note Records. Eric Allan Dolphy, Jr. (June 20, 1928 – June 29, 1964) was an American jazz alto saxophonist, flutist, and bass clarinetist. On a few occasions he also played the clarinet, piccolo, and baritone saxophone. Dolphy was one of several multi-instrumentalists to gain prominence in the 1960s. He was also the first important bass clarinet soloist in jazz, and among the earliest significant flute soloists. His improvisational style was characterized by the use of wide intervals, in addition to using an array of extended techniques, to reproduce human- and animal-like effects which almost literally made his instruments speak. Although Dolphy’s work is sometimes classified as free jazz, his compositions and solos were often rooted in conventional (if highly abstracted) tonal bebop harmony and melodic lines that suggest the influences of modern classical composers Béla Bartok and Igor Stravinsky.